International Development Week (IDW) is a national initiative that seeks to inspire Canadians, and youth in particular, to learn more about and contribute actively to global development initiatives. IDW is a week full of events, activities, and opportunities to learn about what local-global initiatives are happening near you and how you can become involved. 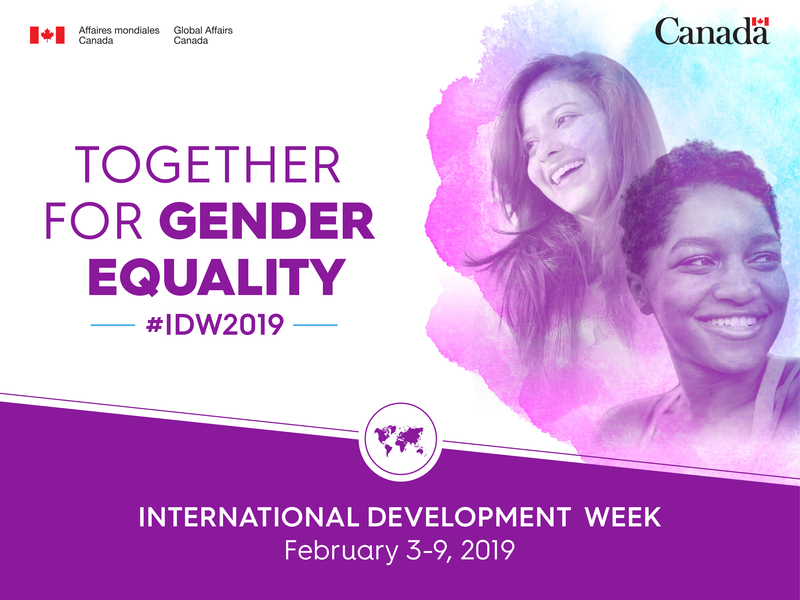 On social media check out the hashtags #IDW2019 and #DevInspired to join in with what’s happening! Read “Stories about Making a Difference” – around the world, support from Canadians and from the Government of Canada is making a difference in the lives of women and girls. Check out this new website created with a coalition of Canadian International Development organizations – and find out how you can take action! 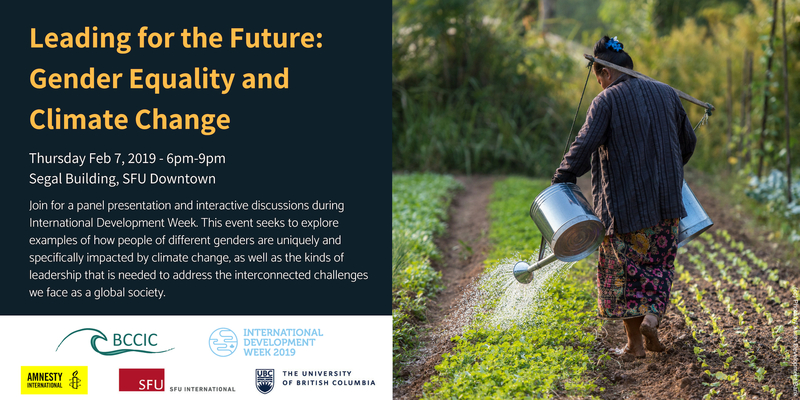 This event seeks to explore examples of how people of different genders are uniquely impacted by climate change, as well as the kinds of leadership that is needed to address these interconnected challenges we face as a global society. Check out BCCIC’s Facebook page on 7th February and join through our Facebook Livestream. Are you interested in connecting mindfulness and social change? Do you want to learn more about how we can embody concepts like “sustainable development” and “social justice”? 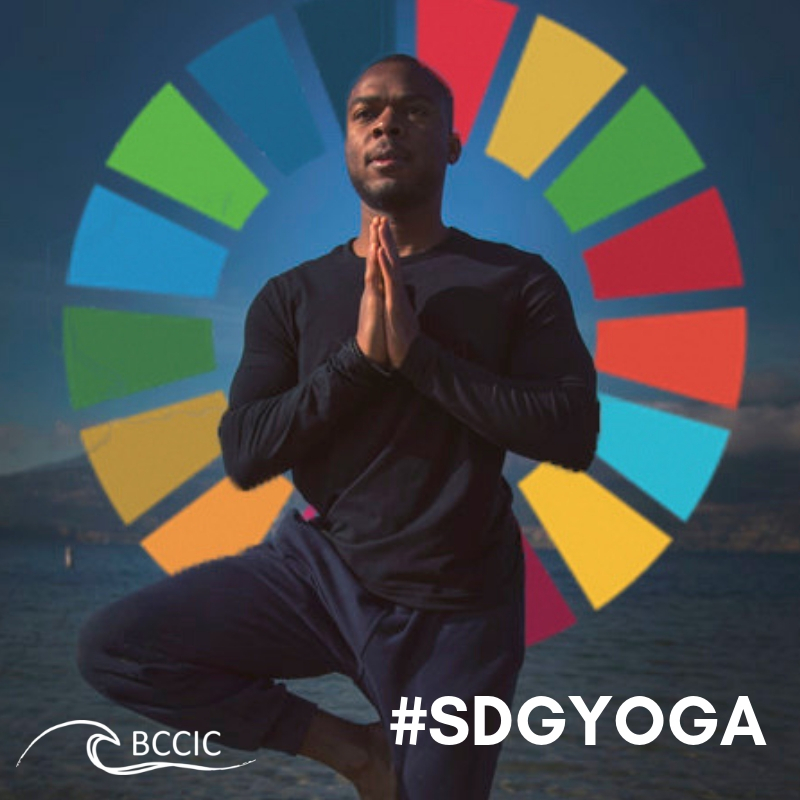 Join us on Wednesday, February 6th, for an exploration of the United Nations Sustainable Development Goals through the practice of yoga. 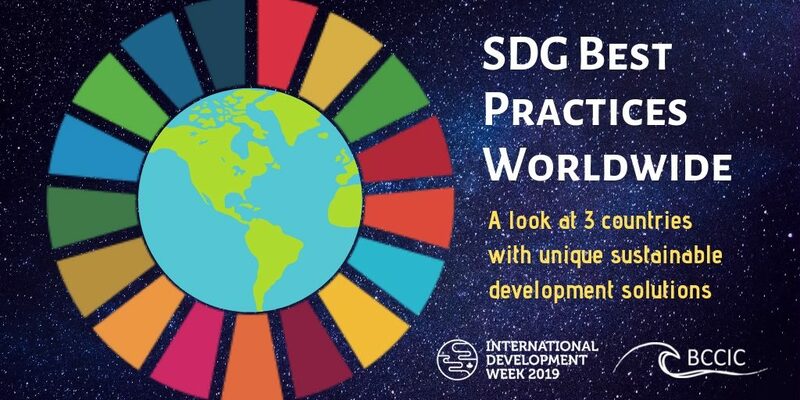 Update: Watch the online training video on Facebook – See SDG Yoga Resources – and join us for SDG Yoga on Earth Day! We often hear that youth are the next generation, that we have the power to create change. But what does this ‘power’ actually look like? 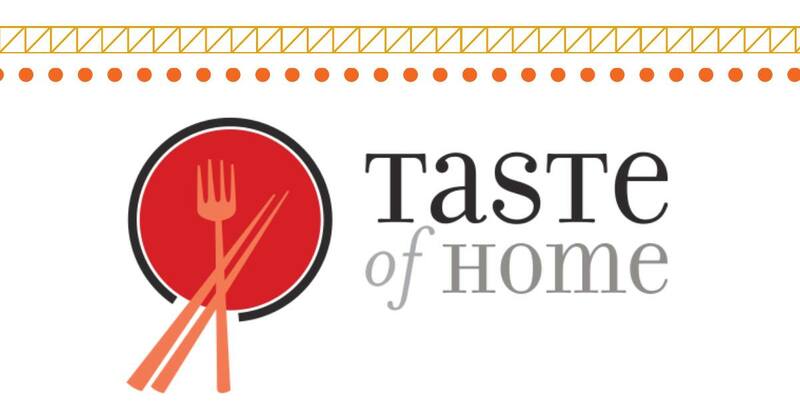 What were the most pressing topics discussed at COP this year? How do we keep our governments accountable on a federal, provincial, local level? 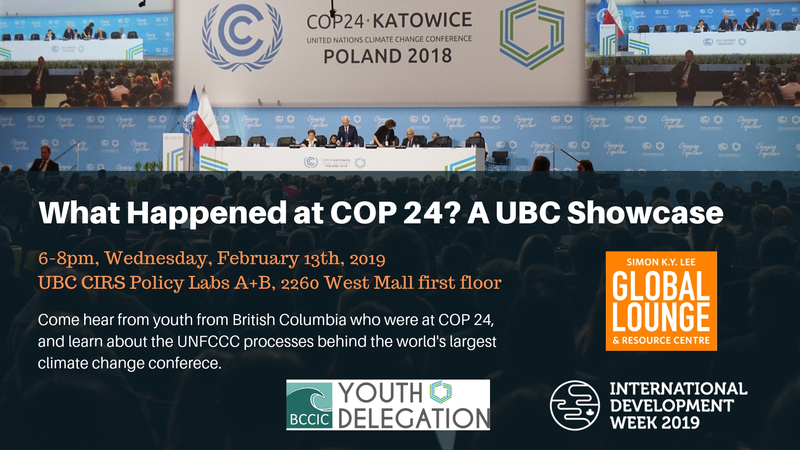 If you are interested in any of these topics, or wanting to see how you can get more involved in the United Nations process, come out to our Post COP24 Engagement Showcase at UBC filled with delicious vegan treats, a panel discussion with the delegates, round table discussions, and a networking session! Are you passionate about global issues and want to learn more about community and political engagement, group work, and self-awareness? Do you want a unique experience that challenges your growth as an individual and in a team? Are you ready for practical opportunities to develop your changemaking skills from a community engagement roadtrip, to attending the UN High Level Political Forum in New York? 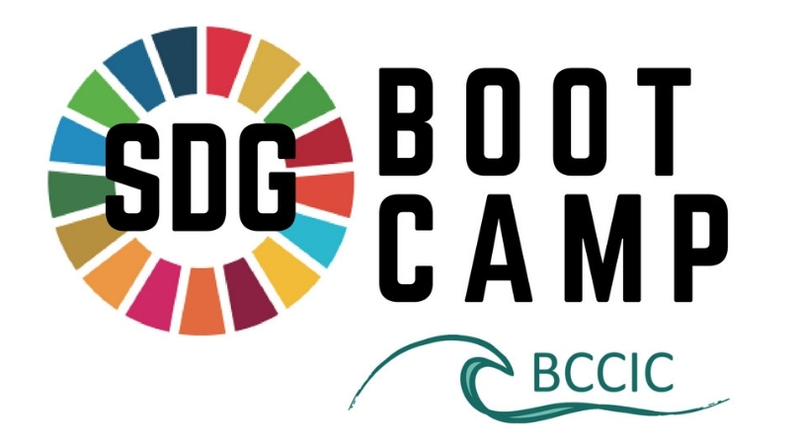 The BC Council for International Cooperation has the perfect opportunity for you: the Sustainable Development Goals Bootcamp! 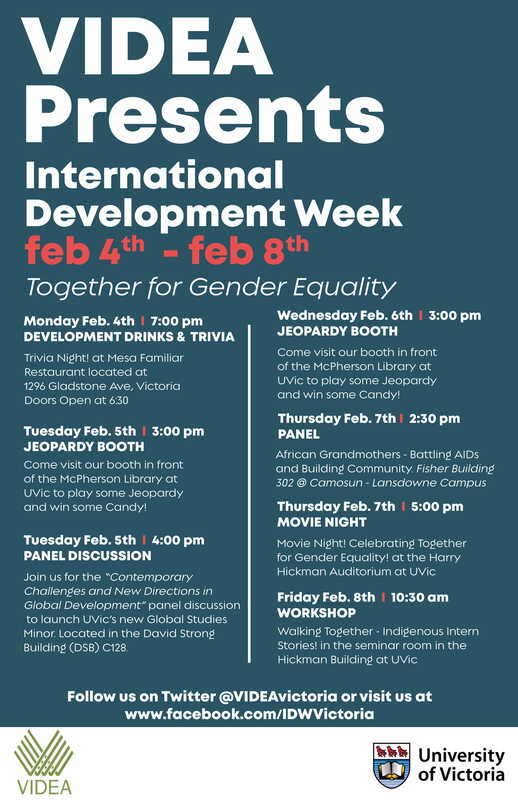 BCCIC is pleased to promote our groundbreaking Movement Map for International Development Week! Read our new article – The Movement Map: Technology for Social Change and watch our brand new video to meet the mapping team. We submitted the map for an SDG Action Award! Check out our profile on the SDG Action Award website. This policy brief provides a menu of strategy development methods that Canada can draw on to develop its own SDG Strategy. The brief looks at a range of different strategies from the process of their creation to their content. It evaluates their effectiveness against a set of criteria, and draws some conclusions from this analysis with recommendations for the Canadian context. In doing so, we hope that Canada will swiftly adopt a robust SDG Strategy, able to effectively coordinate the implementation of the Sustainable Development Goals in Canada. A Zine that connects the United Nations Sustainable Development Goals to a Vancouver context through arts, culture, and local community initiatives. 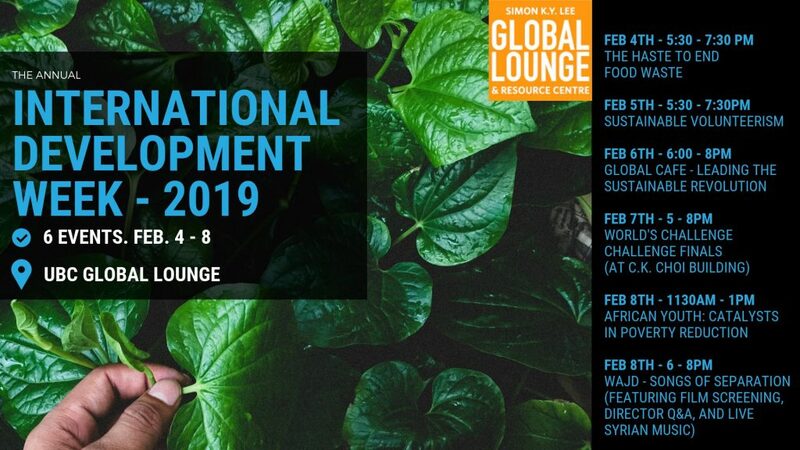 Created for International Development Week 2019. 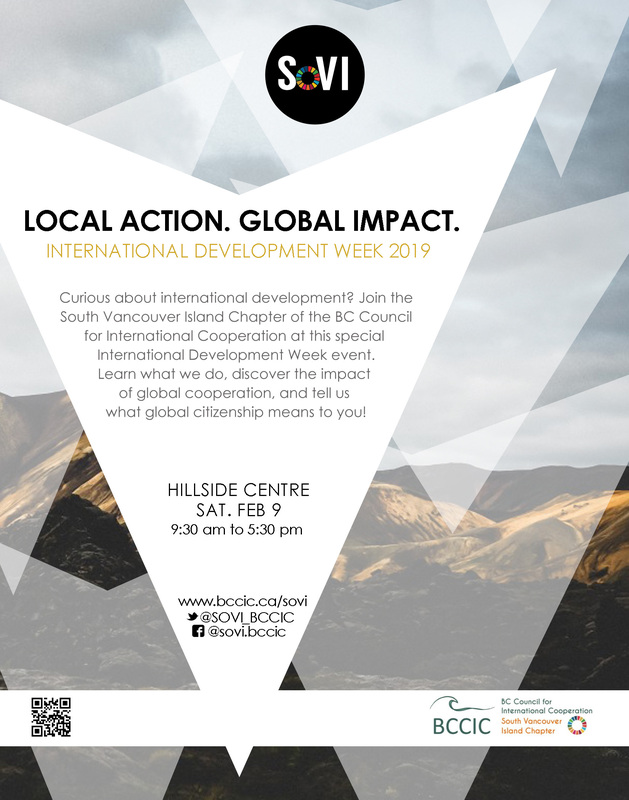 BCCIC is pleased to promote a special series for International Development Week that looks at best practices and exciting progress made in three different countries: Guatemala, Sweden, and Brazil. Find out how different places are taking unique action to address transparency for strong institutions, renewable energy, and poverty reduction. 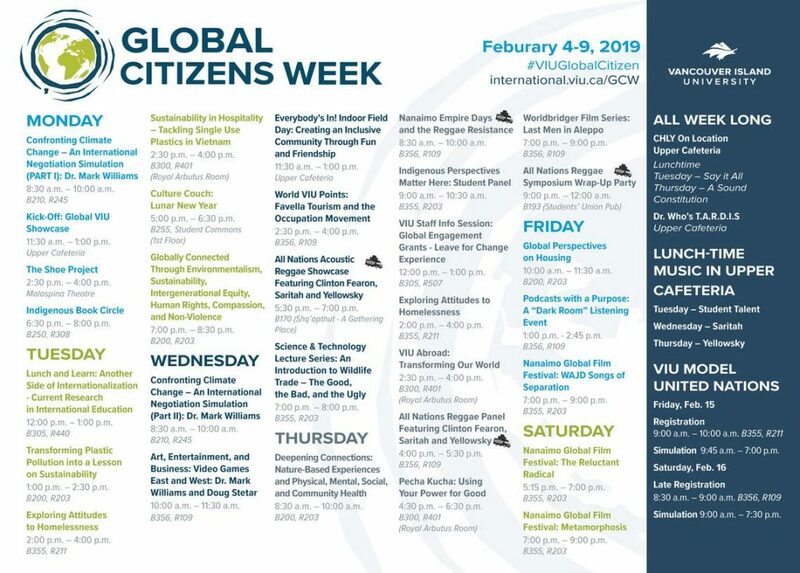 Global Village Nanaimo will be sponsoring 2 films that are shown as part of the Global Film Festival on February 7 – 9, 2019: “Fertile Ground: Brewing Change in Northeast India” and ” Cooperativa”. Contact gvnanaimo@gmail.com for more information. Find the full film list here.